We know the limitations of formal regulatory documents. The complexity involved in the transformation of a landscape renders them especially ineffective. The undertaking of case studies along with the construction of “prototypes” allows for the creation of an aesthetic with which to guide these transformations, while allowing time for the sharing of knowledge. A knowledge interested in the procedures of the project as much as in its choices of material. What could be called a sort of empirical “pedagogy”. A territory is made up of a number of elements that do not always evolve simultaneously. An overall plan used as a tool of conception proceeds with the improbable hypothesis that they will indeed evolve simultaneously. By identifying and considering the elements that are in evolution apart, problematic as they likely are, it becomes possible to conceive of ways of preparing for these individual transformations. Multiple and successive drawings allow for the envisaging of how these various mechanisms will interact. The logical consistency and potential beauty of a completed territory depends on the legibility of the mechanisms that make it up, just as is the case for an agricultural territory. If the major public spaces of the city of Bordeaux's center have been the subject of dramatic transformations (construction of the quays and accompanying features for the tramway), its general landscape remains undefined. This city of relatively low density is indeed very spread out. Its green spaces are unequally distributed throughout, and vary significantly in quality, thus failing to create a legible organization appropriate to the scale of such a diffuse city. Bordeaux's elected representatives wished to adopt a “vision” capable of transforming their landscape as well as tools – guidelines – for its coherent construction. Our proposal was based on a method that proceeded by case studies, both helping to define a formative language for the guidelines, as well as serving as an exploratory means of approaching the entirety of this complex territory. The formulation of ten or so projects over a year allowed for the definition of an aesthetic for the territory, during which knowledge and experience were shared among the actors involved. A knowledge that was interested in the project's procedures as much as in its choices of material. 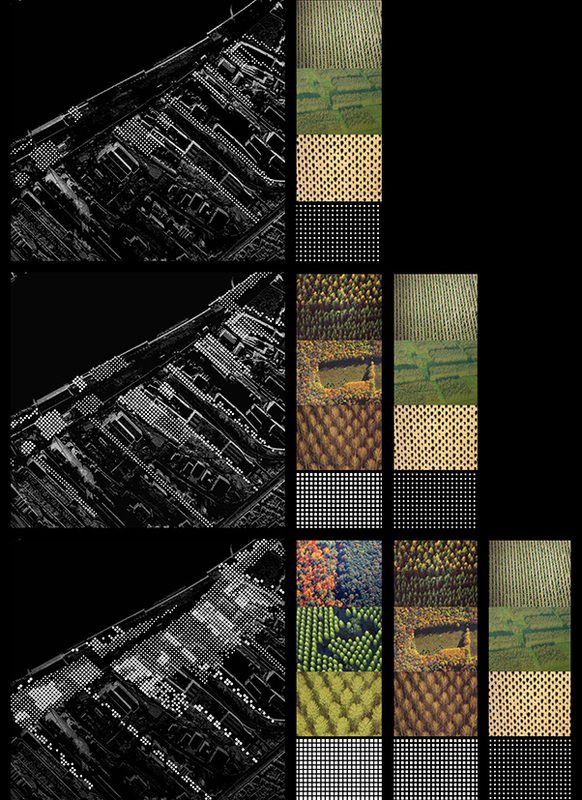 Each month we engaged in a collective exercise in situ: for each site we identified the problematic issues stratum by stratum (spatial unities, boundaries, typology, leveling, ground and soil, vegetal configuration...). Stratum by stratum, conceiving of as many hypothetical transformations as possible, we worked out processes that proceeded by choice. An empirical pedagogy that continued to develop all the way up until the construction of prototypes. This experience of inquiry took the place of classic regulatory documents. At the same time, we played a part in the drawing up of a sort of landscape master plan as well as in a specific development plan for the banks of the Garonne river. Case studies provided us with the measurements of the various components making up the city, and therefore with an idea of their possible transformation. The aesthetic our work produced was designed to spread out to match the scale of the territory. We aimed at the creation of vast geographical continuities running alongside the river, replacing the large infrastructure complexes, insinuating themselves into the surrounding areas just like the old water routes. The dimensions necessary for the creation of this landscape were taken as the basis for adjusting the rules of constructibility.